Travel and photography is never a bad idea. The perks of being a photographer is to travel and see the most breathtaking places on earth. Autumn foliage is one very interesting subject for a fine art photograph. 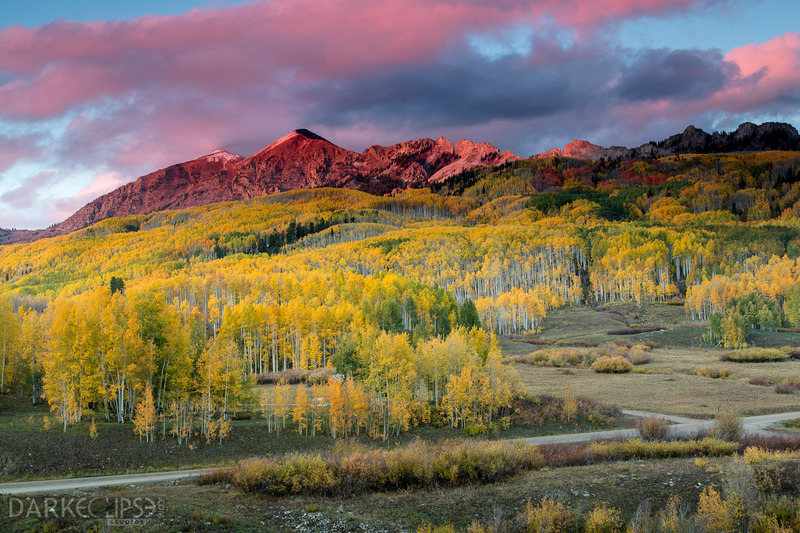 Colorado has one of the most enticing fall colors in the United States. It is a good idea to venture and explore the fall season in Colorado as I have done. 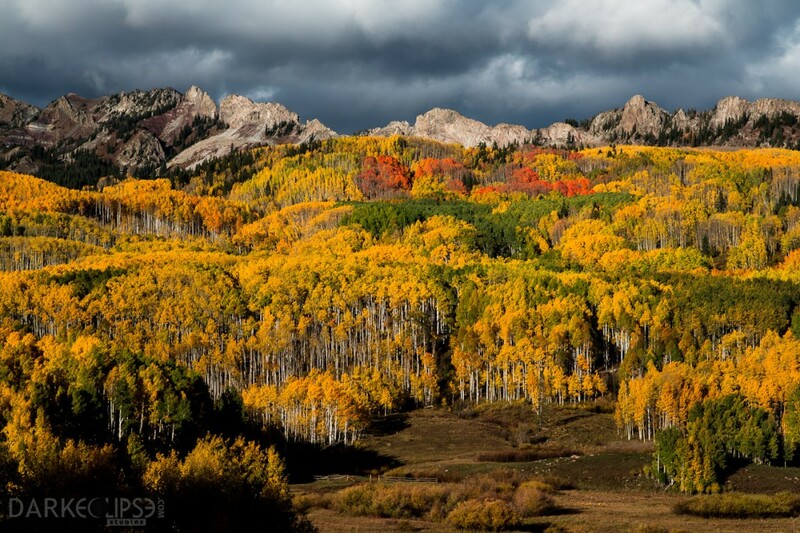 Be prepared to witness the regal Aspen trees with changing into very warm colors of autumn. This beautiful fine art photograph has distinct details which make it absolutely remarkable. Superb fine art photos are characterized with its depth. Specifically, for landscape photos like this one, the depth must include a balance of the dimensions. Though the Aspen trees were highlighted, there was enough space to cater the beautiful skyline and the detailed mountain range. At first glance, the photograph gives much emphasis to the gorgeous autumn foliage beneath the mountain. However, the lines that these Aspen trees create draws the human attention up towards the equally beautiful mountain scenery. This fine art image is a contradiction in itself. The sharp lines and patterns created by the Aspen trees and the mountain are in obvious contrast with the soft cloud formation. Furthermore, the warm and hearty autumn foliage stands by the gloomy skies above. Photographs like this one can pull a design plan together. For restaurants, offices and condo & coop apartments , this will be a clever piece of art.